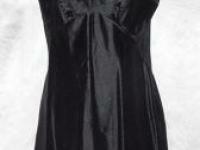 eBlueJay: xVAN RAALTE Vintage Half Slip PETTICOAT FLOUNCE Deep Black Nylon CHIFFON & LACE Details Fits S to M! 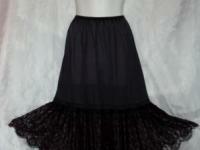 On Hold xVAN RAALTE Vintage Half Slip PETTICOAT FLOUNCE Deep Black Nylon CHIFFON & LACE Details Fits S to M! 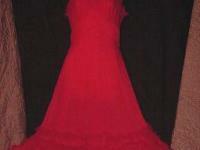 The Double Cloth Tag says Size Small and she will *easily* work for a Size Medium as well (s, sm, sml, m, md, med), Waist *most comfortably* from 24 to 30 inches with 14 additional inches of stretch remaining still for comfort, Hips lying flat and relaxed are 38 inches around with 7-8 inches of stretch available for plenty of comfort and a Total Overall Elegant Length of 28 inches! 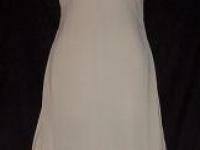 A Fabulous and RARE FIND, absolutely GORGEOUS and so Comfortable worn alone or layered over another half or full slip!!! 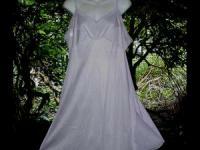 This special Van Raalte piece is in SUPERB Vintage condition with no visible signs of wear! 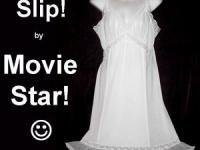 Absolutely NO rips, NO tears, NO stains and NO visible damage of any kind to this Incredible Little Slip!! Please be sure to measure a half slip that you already have and compare to the above, to be sure of a good fit, THANK YOU! 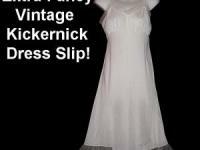 Vintage items may need to be laundered for freshness after many decades in storage.